Responses to my Precept Upon Precept Bible studies. 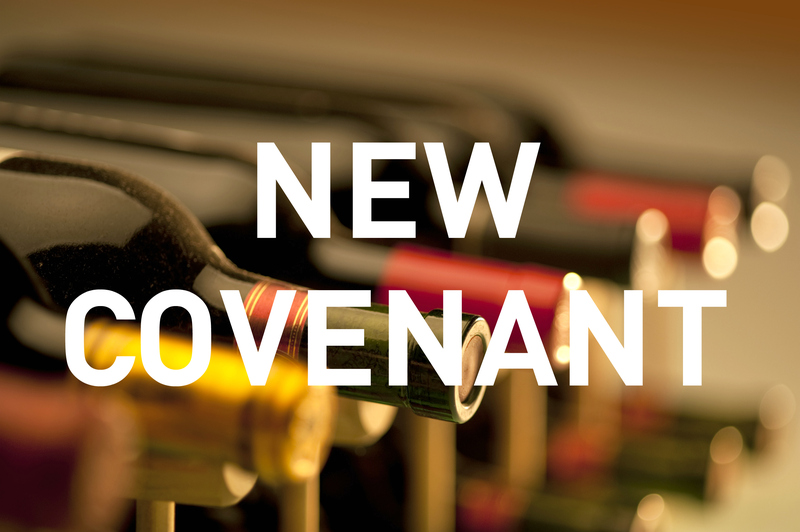 How Does The New Covenant Apply To Me? I’m not Jewish, so how does the New Covenant apply to me? The Old Covenant was given to the nation of Israel (the Jews) and they hardened themselves within iT, so when Jesus (a Jew) came and brought the New Covenant, what happened to the Old one? And for that matter, what does it matter to me…since I’m not Jewish? According to Hebrews 8:5, the Old Covenant Law was a “copy and shadow of the heavenly things.” The Law serves as a tutor to defining sin. Matt Chandler described it as being like an MRI machine: it can diagnose the problem but it can do nothing about curing the problem. The Law was insufficient for salvation. That “better covenant” is the New Covenant. And that is found in the bloody cross of Christ. I still haven’t answered the question, though, of why that matters to me…since I’m not Jewish. “First to the Jew” means the Old Covenant. They had a copy and shadow of things to come. They had the Law and the Prophets. THIS ALL POINTED TO JESUS, who ushered in the new covenant (the better covenant) in His blood on the cross. The Greek/Gentile didn’t have the Old Covenant but were readily part of the New Covenant because of and in Christ. By Israel’s transgression salvation has come to the Gentiles (Hebrews 8:9). Their failure is riches for the Gentiles, because they hardened themselves in the Old Covenant, not realizing Jesus is who they were looking for. And where they failed, Jesus fulfilled (see Matthew 5:17). Finally, check out Ephesians 2:13-22. We non-Jews have been brought near by the blood of Christ. We both (Jews and Gentiles) have access to the Father through Jesus. We non-Jews are of God’s household now. And in Ephesians 3:4-6, understand that we non-Jews are fellow heirs and fellow partakers of the promise in Christ. Jesus is the reason we can be saved. Righteousness has never come from the Law. Righteousness has always been by faith (and preceded the Law). By faith in Christ we are saved, because Christ revealed the New Covenant in His blood and has included us in the promise. These are a few notes I jotted down after studying Hebrews 7 this morning. I know a lot of my readers are smarter than me, so if you have anything to add please comment! He’s a big deal in this chapter. But the comparisons between his priesthood and Jesus’ priesthood AND his priesthood and Aaron’s priesthood are especially highlighted. Melchizedek and Jesus: Neither is a priest according to the Old Covenant. Melchizedek preceded the Law. Jesus fulfilled the Law to bec0me the guarantee of something better than the Law. Melchizedek and Aaron: Melchizedek was a priest before Levi was born (Aaron was a descendent of Levi). Melchizedek remains a priest perpetually (Aaron and his line were prevented by death from continuing). Melchizedek did not have the Law (Aaron received the Law from Moses). Jesus is better. That is the theme. In Hebrews 1:4 he is better than the angels. In 7:19 his priesthood ushers in a better hope by which we draw near to God. In 7:22 Jesus is the guarantee of a better covenant. 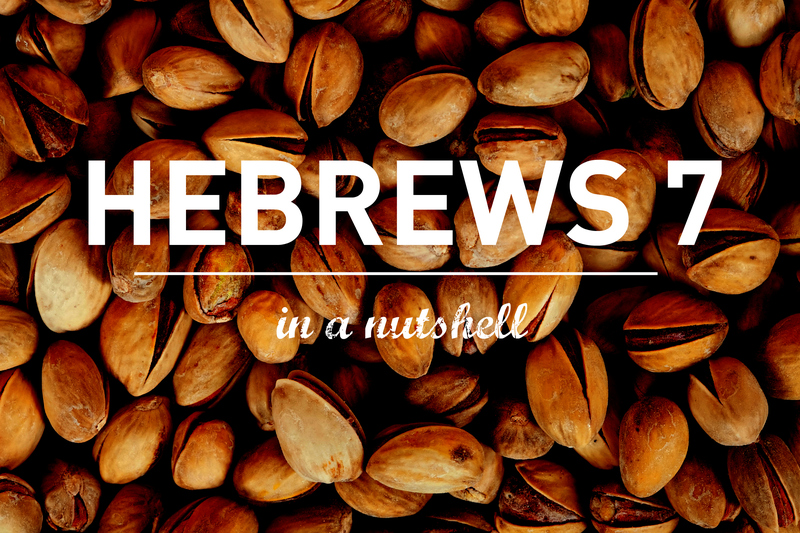 While Aaron was a big deal, Melchizedek was a bigger deal, and Jesus is a better deal. Jesus’ priesthood is eternal because He made a “once for all” sacrifice. Aaron’s priesthood was limited because Aaron and the successive priests had DAILY sacrifices to make. Verse 27 (of Hebrews 7) reminds us that, under Aaron, the high priest had to sacrifice for his own sins first, then for the peoples’. Jesus was sinless, so this daily sacrifice to atone for Himself was unnecessary. Therefore, He was free to make atonement for all. And his “once for all” sacrifice was sufficient. He still intercedes for the people like a priest should, but the sacrifice has been made, it is sufficient, and we are guaranteed a better covenant in Jesus. Chapter 2 Theme: Prove It! vv. 14-26: Faith without works is dead, so PROVE IT! Chapter 4 Theme: Me! Me! Me! Camping out on James 5:16 is a good way to follow up on the previous post. “Healing” is one of those things we hope for when someone has cancer but often only associate with those preachers in white suits on gold thrones on TV. 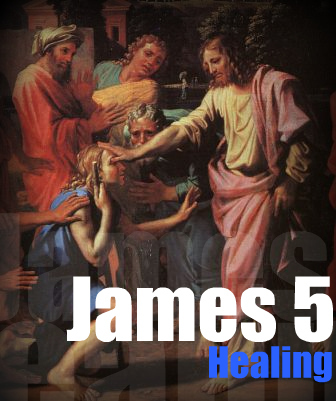 But I don’t think James 5:16 is focused solely on physical healing. It seems more focused on fellowship with 1) Christ and 2) with His Church. When you look at “confess your sins” it has a meaning behind it of acknowledging openly and joyfully where you have erred or been mistaken. And this is to be done with other believers, not when you are isolated and feeling guilty. There is great humility required to openly praise how you have missed the mark for the purpose of forgiveness and restoration. The result of this is healing. It is to be cured or to make whole. It’s the healing that sets you free from errors and sins; it brings about one’s salvation. 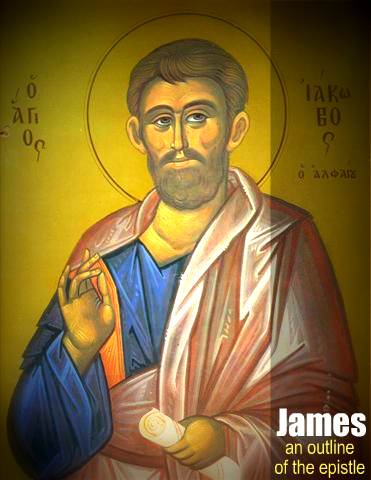 To paraphrase so far, James 5:16 is instructing us to openly share with other believers what is broken in our lives. That fellowship together is the result of a desire for a deeper fellowship with Christ. And as our fellowship with Christ deepens, what is broken begins to be restored. I do believe physical healing has taken place and can take place. But what I see in the Bible is that Jesus is primarily concerned with our hearts. Much of the “healing” has to do with the spiritual condition (Matthew 13:15; Luke 22:51; Hebrews 12:13; 1 Peter 2:24). It’s my understanding that the debris and the barricades that we set up from our brokenness is what Jesus will restore. And James 5:16 shows that an intentional and continual relationship with Jesus and an intentional and continual relationship with His Church is the means by which the healing of our spiritual condition comes about. Physical healing does happen (Luke 6:17-19) but the emphasis in James and elsewhere is primarily on healing the soul, restoring a right heart, and fostering a consistent relationship with Christ and His Church. Read James 5.13-16. I did that this afternoon and finally got confronted – in plain language – with what seems to be a hot button issue. I live in Tulsa, the capital of charismatic theology. There are colleges founded on this theology here in the city, there are several HUGE churches founded on this theology, and half of my basic cable programming is based on this theology. Do you think verses 14-16 teach that any time a sick person calls for the elders and they pray, healing is always guaranteed? Why or why not? I would love to hear some feedback from y’all. Because I’ve had a preacher touch my TV screen and I’ve had people pray for healing “because they had to.” What’s your answer to the above question? Where do you weigh in on praying for healing? When you read this a little more slowly you see one of these things is not like the other. And if you’ve ever been in a small group or a class or around friends that pray, most of our requests tend toward the negative. We pray for healing when someone has cancer. We pray for peace when we are anxious. We pray for safety when we fly somewhere. We pray for a job when we’re unemployed. Much of our prayer requests are the result of some negative thing happening in our world. And while it’s good and right to pursue God in our afflictions, it’s not all prayer is. Look at that passage again. What doesn’t seem to fit? It may seem weird. It may even seem insensitive (especially after a cancer request). But if that’s your heart, it’s OK to be thankful. If praise for God is compelling you, don’t drown it out by making up a lesser need during prayer-request-time. If you’re cheerful, sing the praises of God in prayer. It may be the encouragement someone else needs to hear in the first place.